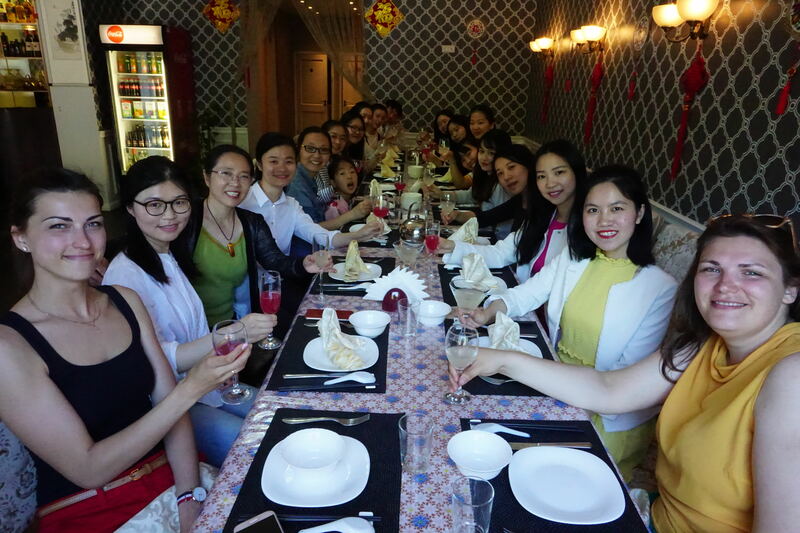 At local time May 12th, Confucius Institute at University of Latvia held work summary meeting during 2017-2018 in Confucius restaurant. 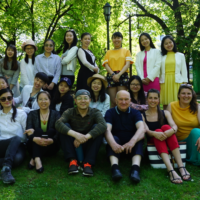 The directors of Confucius Institute at University of Latvia Professor Shang Quanyu and Professor Peteris Pildegovics, Chinese teacher Wang Qiongzi and Dong Fang, native teacher Ma Xiaoxiao, Secretary Laura，and Chinese teacher volunteers from different teaching sites attended this meeting. 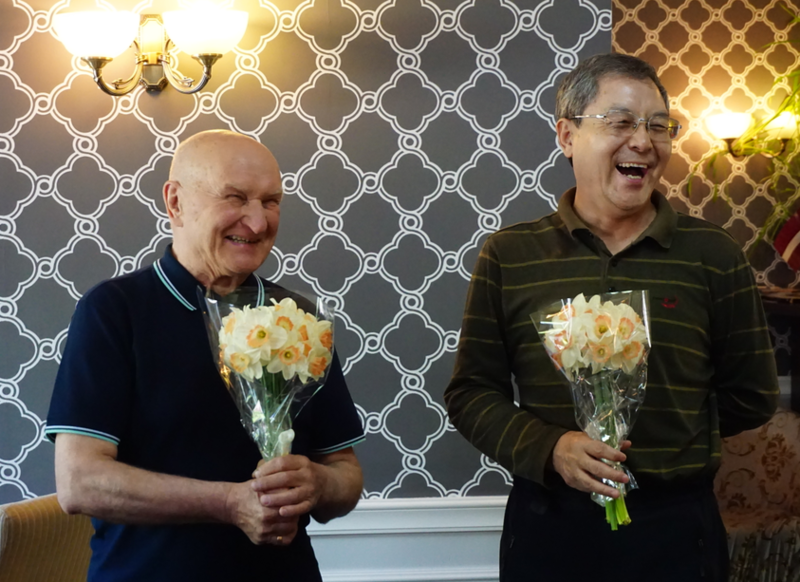 At the beginning of the meeting, Chinese-side director Prof. Shang Quanyu and Latvian-side director Prof. Peteris Pildegovics delivered a speech to thank all the teachers and volunteers for their hard work this year and hoped that everyone can keep this team spirit .They said that this was the largest group in Confucius Institute at University of Latvia this year.Second, Chinese teachers and volunteers made a summary of their work one by one. 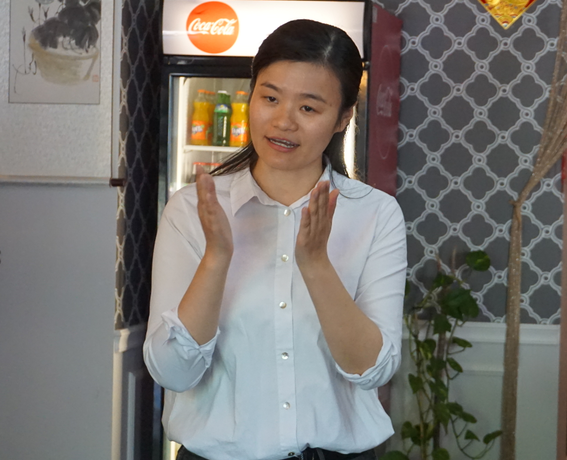 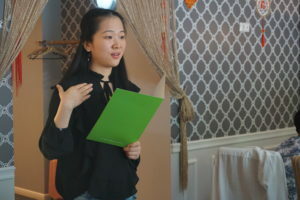 Chinese Teacher Wang Qiongzi said that this was her second time to teach in Latvia . During this half year’s work, she was so grateful for everyone’s support, and she would do more research in teaching and tried her best to help everyone. 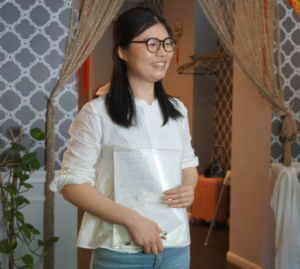 Chinese teacher volunteer Bai Bingyu, made a summary of her work from three aspects including her contribution to the Confucius Institute at University of Latvia, her contribution to the students and her progress in this year. She wanted to be a teacher who can meet all the needs of students in learning Chinese.The whole meeting was smoothly and successfully . 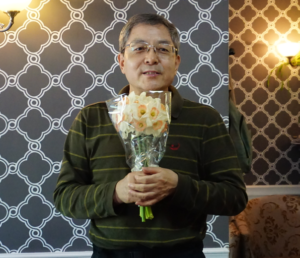 Towards the end of the conference, the whole workers of the Confucius Institute at University of Latvia presented a video of Father’s Day greetings to the two Directors, who were deeply surprised and touched by the Father’s Day gift. Finally, we took a picture together as a memory for this enjoyable and fruitful year and discussed the work of the Funny Sport Meeting held in June.